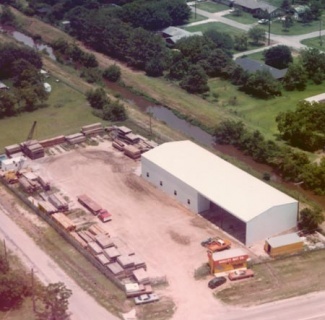 This is one of QMC's first commercial locations on the interstate in Nederland, Texas. 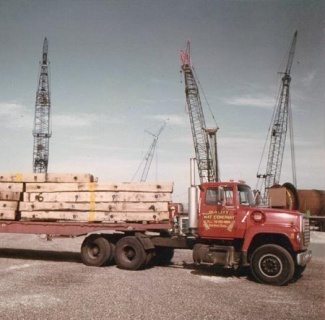 One of our trucks at a petrochemical project in 1978. 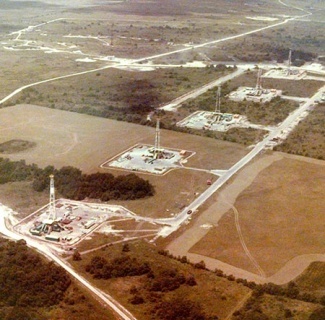 Oil drilling project in 1982. 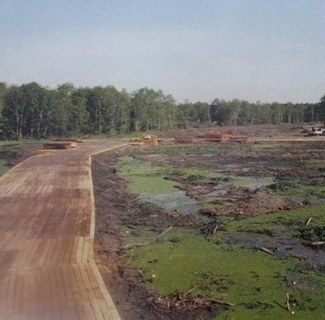 In 1984 superhighway project, crossing extreme wetland conditions for the state of Georgia. Provided crane mats for Sun Oil refinery expansion. 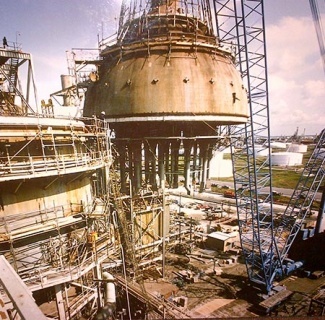 QMC installed 10 drilling locations at the same time to help build the National Oil Reserve. 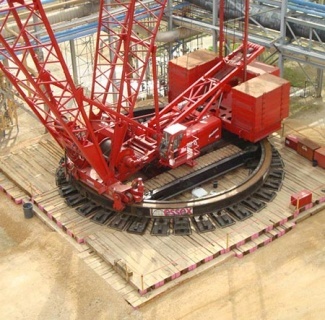 Mats supporting massive lift at Texaco refinery in Texas. QMC began to proudly apply pink to all of its mats, in honor of breast cancer survivors everywhere. 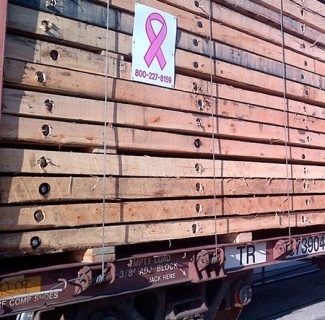 Spreading the pink all across the U.S. from Beaumont to Bismarck. 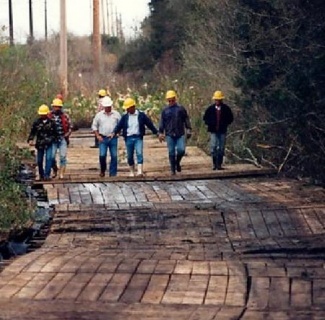 Inspecting tough terrain on a utility project in Louisiana in the mid 90's. QMC Founder Joe Penland Sr. overseeing a project providing access and drill pads. 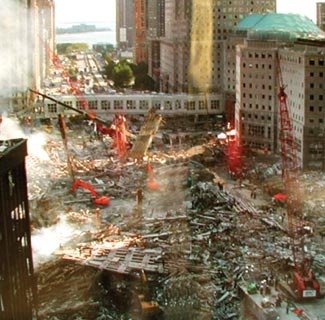 Quality Mat Company was in New York for the cleanup and rebuilding effort during our nation's worst attack. For over 40 years, QMC has employed thousands of hard working, skilled workers. This has helped us build the best products on the market! 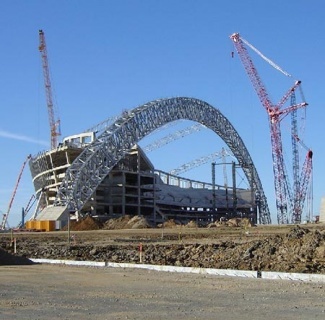 Provided matting for massive lifts to build the Dallas Cowboy stadium. QMC opened Killdeer, North Dakota facilities. 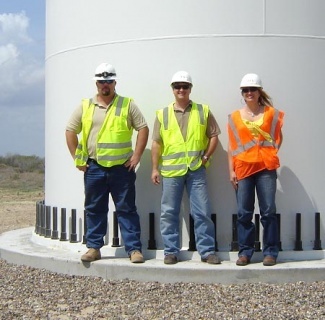 QMC employees inspection a wind farm matting project in South Texas and Mexico. QMAT delivered the ECO MAT, a patented synthetic laminated mat to help meet customers' requirements. 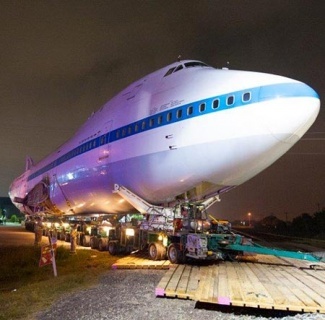 A NASA over night project, providing temporary access to transport the 747 Space Shuttle transporter. 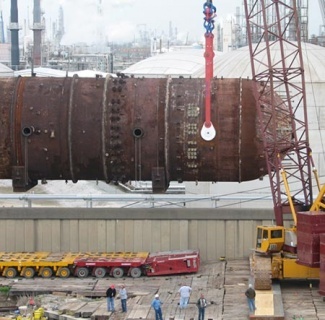 Massive ringer used to build Texas refinery. 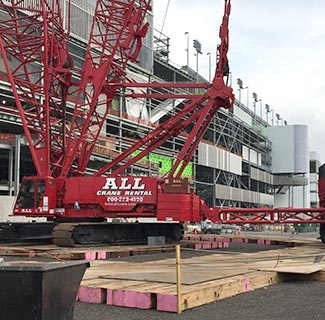 QMC assists with the 2015 Daytona Speedway expansion project. 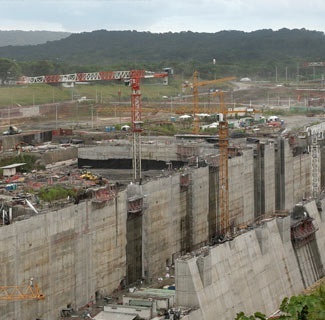 QMC's crane mats are providing a stable foundation for one of the world's largest construction projects. 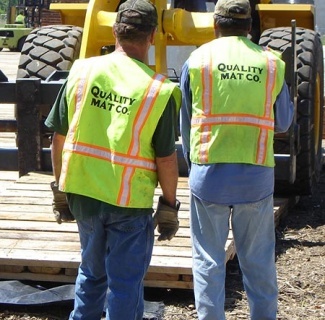 Quality Mat Company was formed in 1974 by Joe Penland to provide temporary roadways and work surfaces for construction sites. 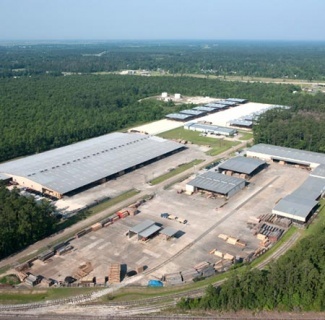 Based in Beaumont, Texas, Quality Mat has grown into the largest ground protection mat producer in the world. Today, our annual mat production exceeds 250,000 and our products carry exclusive patents that benefit a variety of major industries. 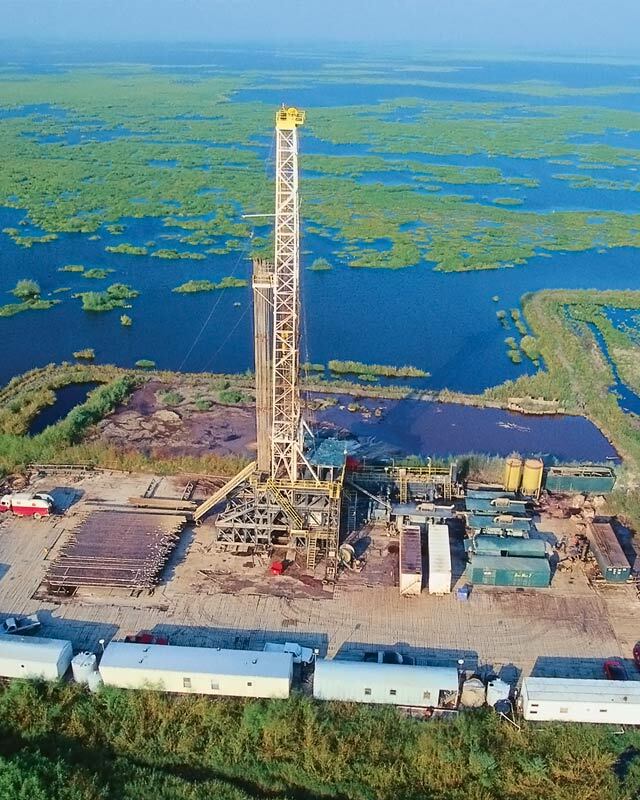 From dragline mats to swamp mats for sale, every one of our mats are built to be used for years, with eco friendly needs in mind as well top quality standards. 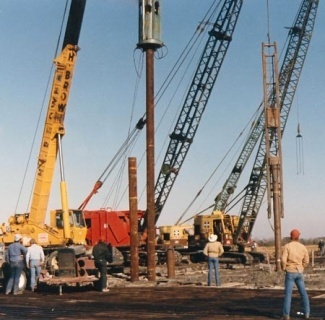 In 1980, Quality Mat Company developed the idea of an interlocking ground protection matsystem that is pre-assembled for rapid installation and de-installation. 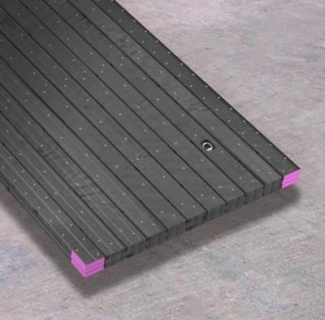 The first ground protection mat jobs were even installed by the Penlands, to emphasize the correct way to create a safe job site – today we ship and rent out mats to be installed for 24/7 safe coverage. 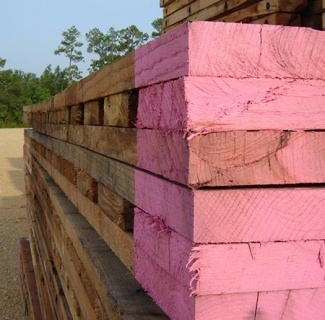 The mat is made from southern hardwoods, primarily oak, and then assembled as either 2-ply, 3-ply or parallel lumber units. 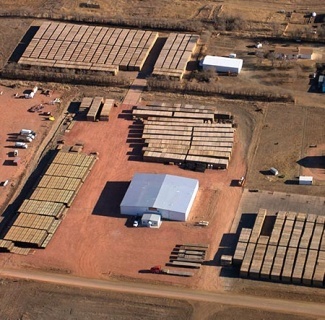 Ever since those early days in Nederland, Quality Mat has been innovating new products and construction techniques, making every type of mat available for all construction and contracting needs – big and small. 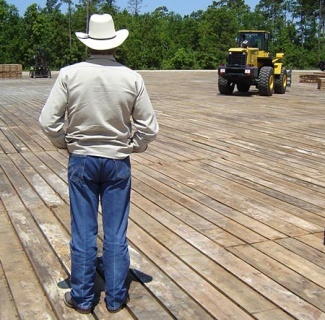 From whole timber dragline mats and cross laminated swamp mats for sale and rent, we’re able to meet and provide the right mat for any custom job or temporary project. We’ve expanded our facility to triple the size of what it was two decades ago in order to meet growing production needs as well as keep a standard inventory in stock – ready to deliver at demand. As long as our customers are in need of high quality mats, we’ll be committed to growing our operations to serve their needs.